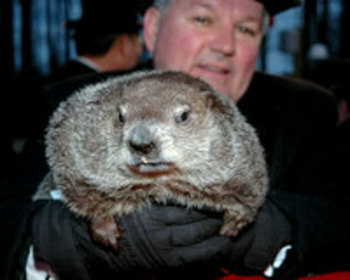 Looks like Puxetawney Phil needs to lay off the Krispy Kreme! Did he pee on the guy holding him, like last year? Kim – Phil appears to be bored with the entire gig.